Psychic reader shops and palmist kiosks advertise the promise of a happier, more successful future yet somehow never foresee their own unfortunate demise. 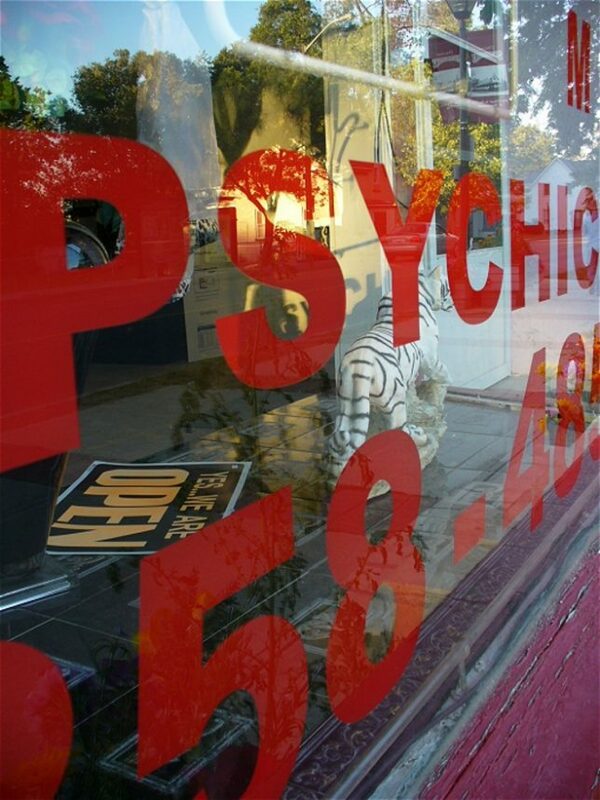 The old “botched prediction” conundrum compounds the sadness exuded by any abandoned shop, and closed psychic reader storefronts are about as sad as they get. 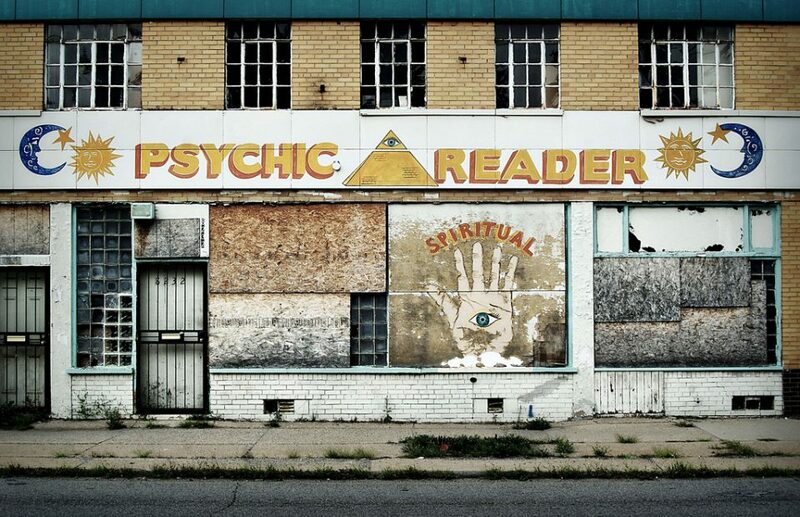 Take this boarded-up psychic emporium from Detroit, snapped by Flickr members Robert Monaghan (Detroit Liger) in August of 2009 and pinehurst 19475 in October of 2007, respectively. 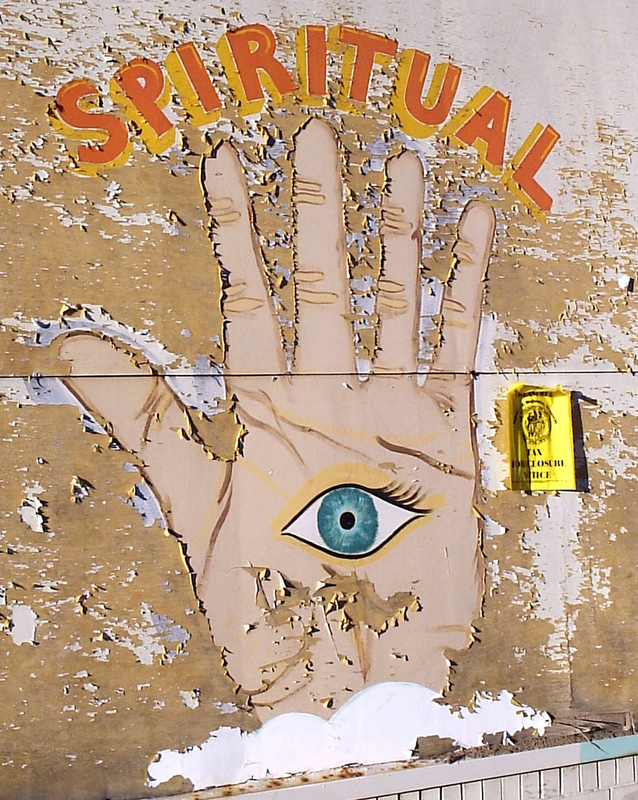 Odd that the paint peeling away from the expansive folk art facade hasn’t even touched the open palm’s all-seeing eye… or is it? 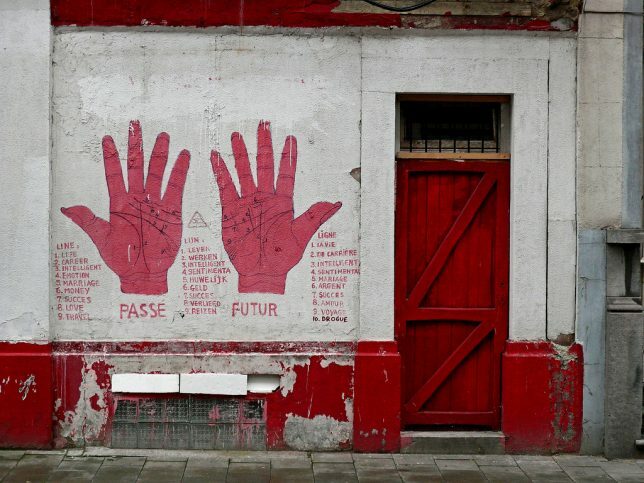 The proprietor of this abandoned palmistry shop in Brussels, Belgium sure liked the color red – or maybe they saved on buying paint by using their own blood. Regardless, Flickr member Tom Waterhouse (an untrained eye) seems to have caught the closed shop, er, red-handed back in December of 2008. “Move to 142 Queen St.”… life advice from beyond the astral plane or simply a case of bad grammar? This Psychic Consultant from Streetsville, just west of Toronto, shifted locations so quickly they even forgot to take their “Yes We Are OPEN” sign with them. Presumably potential customers in need of psychic consultation, to put it grandly, will just KNOW the re-located reader is back in the psychic saddle again. Flickr member Jessica Winkworth captured this moving experience in August of 2006. 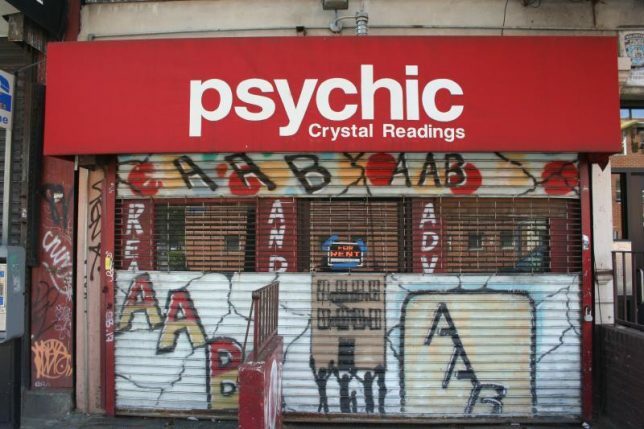 This abandoned and for-rent psychic shop on the Lower East Side of Manhattan differs from the norm in that its signage eschews the usual occultish symbolism, opting instead for an exceedingly plane-jane, tell-it-like-it-is font. 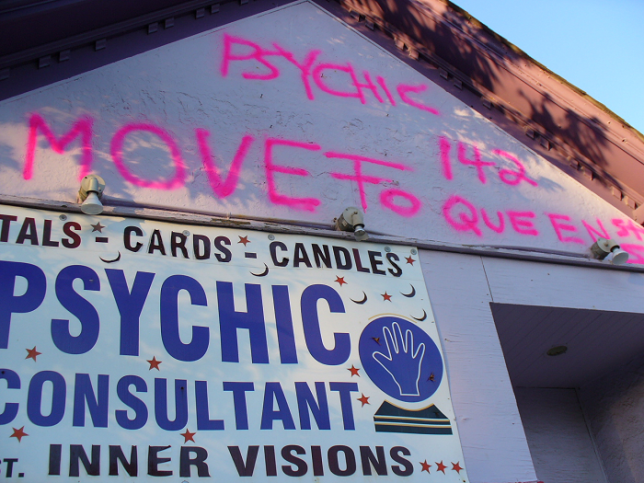 Maybe that was the problem: successful psychics aren’t supposed to tell it like it is. Flickr member Kevin Ly (Ly.Kevin) caught this ex-psychic shop and its awesome graffiti art corrugated roll-down door in May of 2009. Get yer readin’s here… NOT. 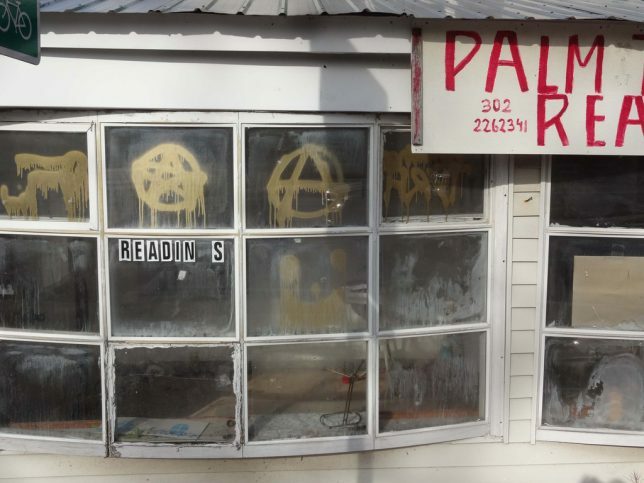 This grimy abandoned palmist’s shop somewhere in Delaware appeared to advertise Satanism and Anarchism along with the standard slate of psychic services. It was a one stop shop for all your dark-arts needs! Flickr member Dennis Ward (dcward47) snapped the permanently darkened shop on a bright sunny day towards the end of 2017.